Does it pay to buy a big TV on Black Friday? Black Friday is coming, and TVs of all sizes from LG, Panasonic, Samsung and Sony are having their prices slashed. It’s an opportunity to buy a bigger TV than you may normally be able to afford. The bigger the better is true in a lot of cases: salaries, Yorkshire puddings, airplane seats, clown shoes – but what about TVs? 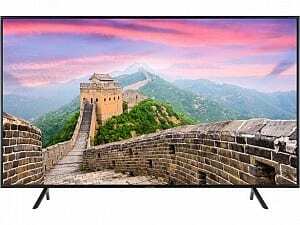 65-inch TVs are, realistically, about big as most living rooms can accommodate and, with prices getting temptingly low, they are bound to find their way into a few shopping baskets. They will get cheaper, but so too will smaller sets from the same range. That’s why we’ve crunched the numbers and checked the scores for more than 150 TV reviews to see whether big-screen TVs are any better than their smaller siblings. LG and Samsung have enormous line-ups of TVs made up of several different ranges. Within each range are typically 43, 49, 55 and 65-inch TVs. Sometimes they go even bigger, but prices skyrocket once TVs go over 65 inches. Our comprehensive coverage of the TVs that launch every year means we can track the scores of different-sized sets from the same range. This lets you see whether the added cost gets you more than just a few extra inches on the screen. 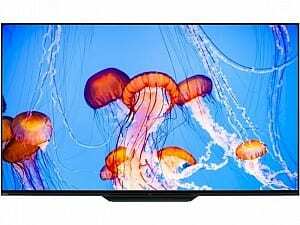 Although there were instances where 65-inch TVs fared much better – and sometimes much worse – than the smaller TVs in their ranges, the average difference is absolutely tiny. What’s more, we found that all the TVs in a particular range shared the same strengths and weaknesses for the most part. If the 55-inch version of a TV has impeccable 4K picture quality, then it’s likely the 65-incher will, too. One area where we did notice bigger differences in quality was viewing angle. The size of the TV can have a significant bearing on whether the picture quality holds up when you’re sat to the side of it, and there were often one or two models in a range with an inferior viewing angle. 65-inch TVs are cheaper than ever, but they always cost more than the equivalent 55-inch model. 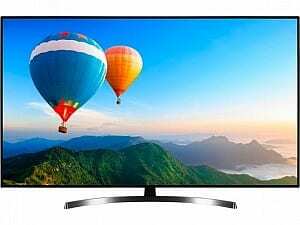 That’s hardly a bombshell, but when we looked at the difference in price when moving from a 49-inch to a 55-inch TV, and from a 55-inch to a 65-inch one, we were surprised. The screen size increase from 55 to 65 is 10 inches, slightly less than twice the 6-inch difference between a 49 and 55-inch model, but the average price increase is four times as much. A 65-inch TV may be cheaper than normal on Black Friday, but you’re still paying significantly more for just a few extra inches. Should you buy a 65-inch TV on Black Friday? Absolutely. 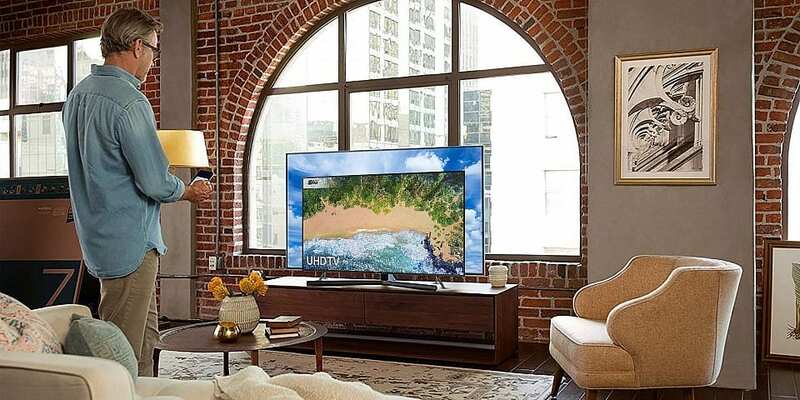 If your living room is big enough, then there are some spectacular 65-inch TVs out there, but don’t feel like you need to buy bigger sets to get the best picture or sound quality. As with any size of TV, prices vary significantly, so we’ve picked out a handful that highlight the big range in prices and that we suspect will be discounted come Black Friday. At £839, this entry-level 4K TV from Samsung is at the cheaper end of the 65-inch spectrum. It’s cheaper but still benefits from one of the new, and most advanced, HDR formats. HDR10+ can adjust contrast dynamically to better suit the scene and avoid the video looking too dark or bright. Some features are missing, however: there’s no PVR for recording shows onto a USB hard drive, and it doesn’t have a satellite tuner either. Head to our Samsung UE65NU7100 review to see how it fared in our tests. The majority of 65-inch TVs cost over £1,000, but you don’t need to spend too much more than that to get a high-end 65-incher with advanced features. The SK8500PLA is part of LG’s Super UHD range of elite LCD sets, so it’s compatible with four HDR formats, has voice search to easily scour through apps and channels for shows you want to watch, and its audio was tuned by Dolby to create a surround-sound effect. It’s currently £1,299, and the price could drop even more on Black Friday. Is Dolby-tuned sound and a bevy of HDR formats just marketing spiel, or is this TV the real deal? Read our LG 65SK8500PLA review to find out. OLED TVs are some of the most expensive you can buy, but some are also exceptional, with unmatched contrast and motion fluidity married with terrific sound and features. The KD65AF8 is Sony’s cheapest 65-inch OLED, and the arrival of the newer Sony AF9 Master Series OLED could see it getting a hefty price drop in the near future. Check our exhaustive Sony KD65AF8BU review to see whether it’s one of the good ones.